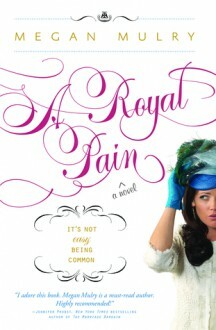 Bronte Talbott follows all of the exploits of the British royals. After all, they're the world's most preeminent dysfunctional family. And who is she to judge? Bronte's own search for love isn't going all that well, especially after her smooth-talking Texan boyfriend abruptly leaves her in the dust.Bronte keeps a lookout for a rebound to help mend her broken heart, and when she meets Max Heyworth, she's certain he's the perfect transition man. But when she discovers he's a duke, she has to decide if she wants to stay with him for the long haul and deal with the opportunities-- and challenges-- of becoming a royal.